Close to the slopes of the Altiport, Le Blanchot, Meribel renowned restaurant, invites you to flick his ledger flavors, especially those from Asia. Fusion cuisine and trendy brilliantly combines tradition and modernity, with the key to a touch of eccentricity. The welcome and comfort will not leave you indifferent. 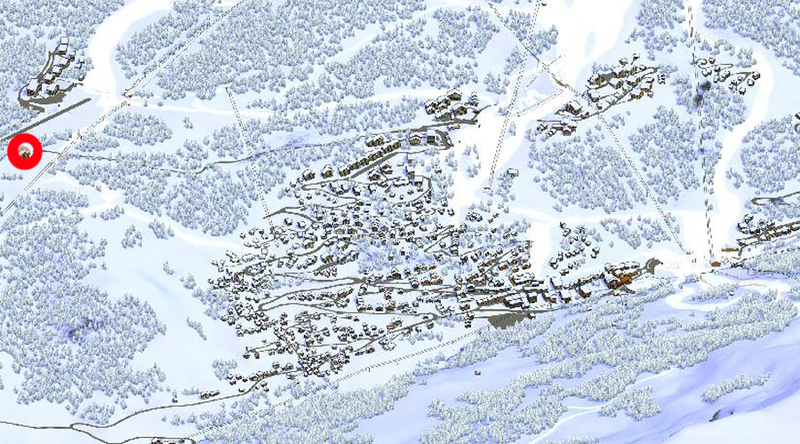 Located on the slopes of Saulire. For lunch, a break is needed on the large terrace accessible to ski and car to discover the brewery card embellished daily suggestions. In the middle of the forest, its unique setting will delight you. The restaurant is also accessible via the free shuttle to the station "Le Blanchot" direction "Altiport". Upstairs, a room reserved for Savoy regional specialties welcomes fans in a beautiful mountain setting. In the evening, Le Blanchot out all the stops in an always cheerful and friendly atmosphere. The restaurant is divided into two, with a gastronomic party down, its gourmet card and fire. Ideally located on hole No. 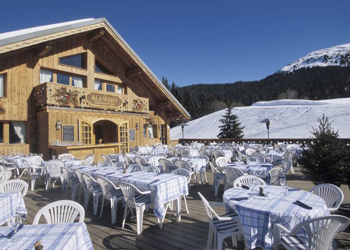 2 of Méribel Golf, Restaurant Le Blanchot offers you to enjoy the quiet of the mountain on the sunny terrace. Enjoy traditional dishes while enjoying the unique landscape that awaits you. At lunchtime, the restaurant offers traditional card, ideal between two of golf or after hiking. In the evening, the restaurant offers a gourmet menu, as well as some local specialties. - On the summer golf course. - Open winter and summer. - Closed Monday evenings except during school holidays. - Accessible on skis or by car.